The Australian Rosemary is an evergreen shrub that grows 6' tall and 12' wide. It has soft, gray green leaves and white flowers throughout the year especially in frost free areas and prefers full sun. 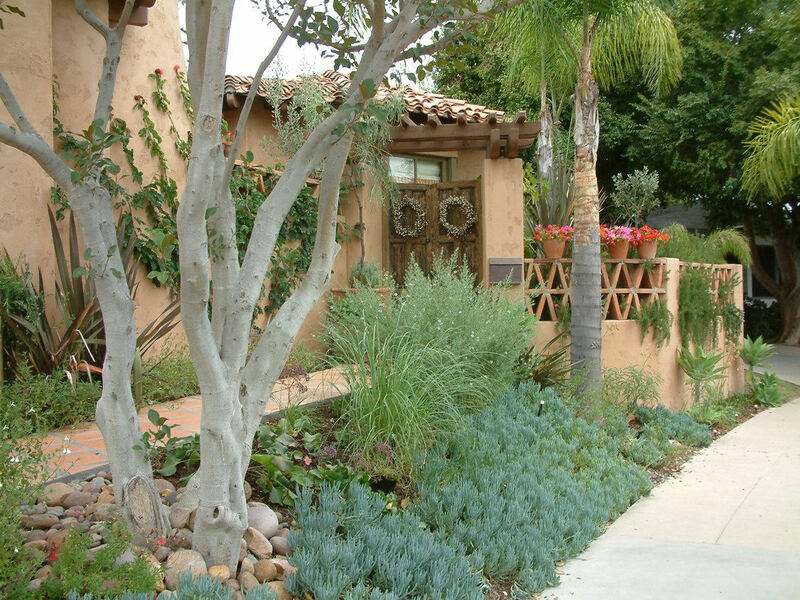 This shrub is also drought tolerant but will look better with occasional watering in spring and summer. This plant is great in coastal areas since it tolerates wind and salt spray. This mounding shrub will reach about 3' high and has large, dark green leaves with small blue and purple flowers that bloom in spring and summer. Very hardy and outstanding perennial for water wise gardens. Tall clusters of tiny, deep mauve flowers are produced throughout much of the year. Ornamental foliage is evergreen and forms an attractive, rounded mound.Can be mass planted for low maintenance areas or low, edging borders. This evergreen shrub will grow 1'-1.5' tall and 2'-3' wide. It has small, dark green leaves with rich, lavender blue flowers that bloom all year. New Zealand Flax is an excellent accent plant for the garden. Evergreen leaves are long, narrow, and grow upright. Clusters of flowers grow on spikes above the foliage in late spring and summer. 'Rubrum' will reach 2'-3' tall and has beautiful maroon colored leaves.